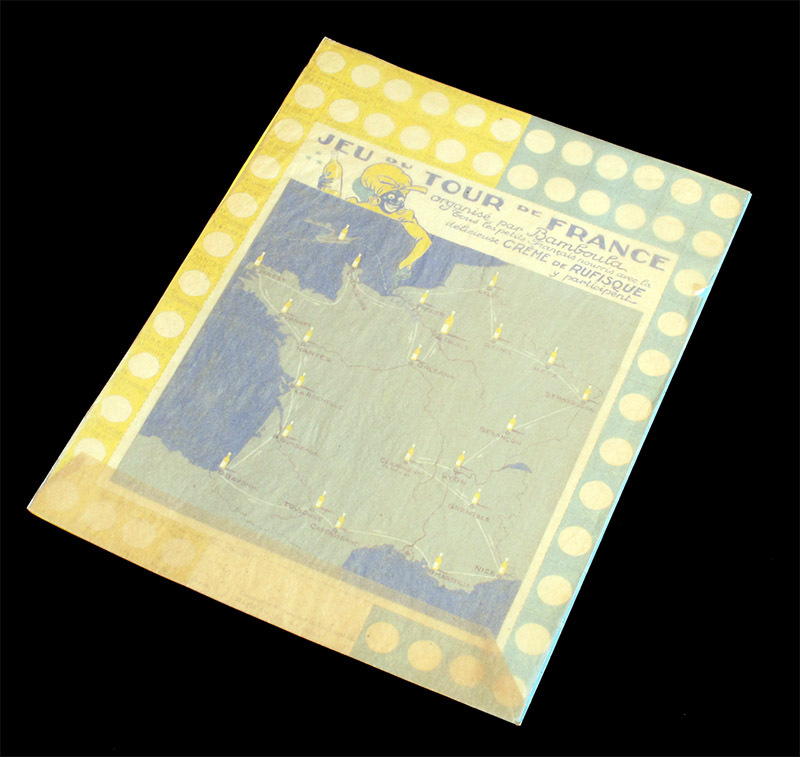 Unusual unfinished prototype for a promotional game that was never published (at least as far as I know). Although this game would belong to the unpublished games section of the site, I think it is special enough to deserve a webpage for itself. 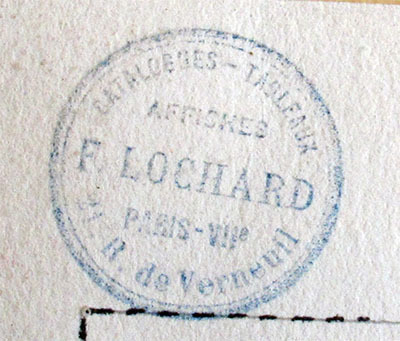 This game was created by Félix Lochard (1874-1951), who had a shop in rue du Verneuil in Paris. 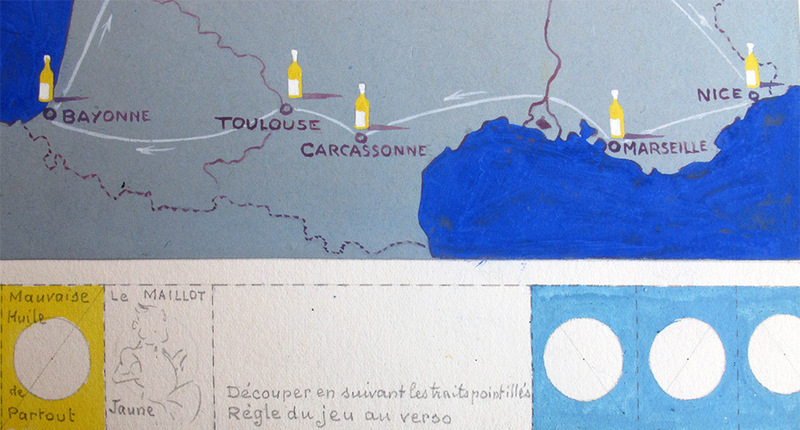 It is a gouache painting on cardboard, 27 x 36.5 cms, with the rules handwritten on the back. It was made as a promotion for Bamboula peanut oil (or maybe peanut butter, but I have never seen peanut butter in a glass bottle). In fact I am not even 100% sure that a Bamboula brand of peanut oil or butter really existed. Maybe it is just a general game project which is presented with a generic brand. I am afraid I will have to investigate a little more. Maybe my French games can help me with that one. This is a two-player game. Each player takes 25 counters (one player takes the blue counters, the other the yellow ones) and places them in a bag. In their turn, players draw one of the counters out from the bag. They cannot start the game until they draw the Bamboula counter and place it in Le Havre. However, if after 5 turns they have not drawn it, they are allowed to look for it in the bag so they can start the game. 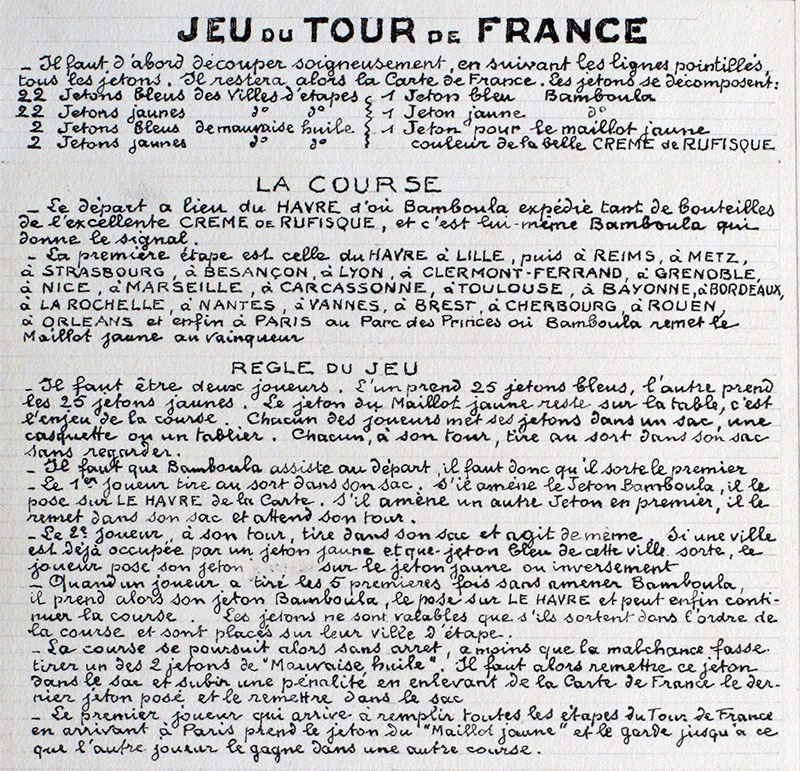 When the race has started, players conmtinue to draw counters from their bag, but these counters are only valid it they are drawn in the order of the race. If at any time a player draws two "Mauvaise huile" counters consecutively, he has to take the last counter he placed on the board and put it back in his bag. 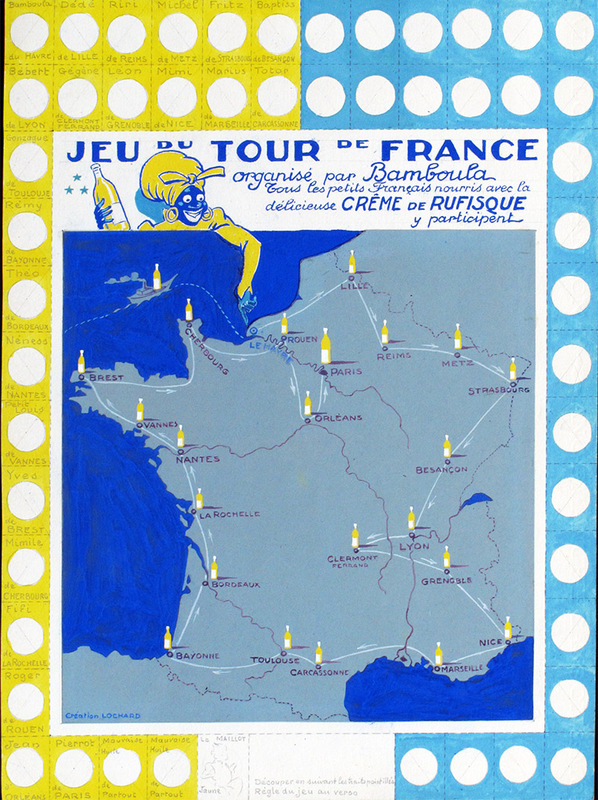 The winner is the first player to complete the map and reach Paris, where he wins the "maillot jaune" counter and keeps it until the game is replayed. The game does not look too playable. While a provision is made in case you do not draw the Bamboula counter in 5 turns (you have a chance out of 25 in any given turn, since the unused counters are put back in the bag), none is made in case you do not draw Lille (and you just have a chance out of 24). So you can expect an average of 12 draws (and of course, once in a while that will be MUCH longer) just to reach, Lille, plus an average of 11.5 draws to reach Reims, and so on. Of course the race will be much faster when you get close to Paris, but still the game does not look too interesting to play. On the other hand I have to admit that these game mechanichs, good or bad, are quite original.